In 2007 we had the honour to interview professor Ma Mingda one of the foremost authorities on traditional Chinese martial arts, whose family has a long history that extends to the early Qing dynasty. Since then professor Ma Mingda has retired from university teaching, even though he lectures on special occasions and continues teaching martial arts part time. In March 2017 we took some time from visiting family and contacted professor Ma’s son, professor Ma Lianzhen and set up an appointment to meet him at his newly opened Zhengyu Archery Club and Jiangong Academy in Guangzhou. The club is located besides the Langpeng Golf club in the outskirts of the city. When we arrived professor Ma Lianzhen was conducting a weapons class for students of all ages (including his 8 years old son) using weapons he has designed for sparring competitions. He showed us around the main area where there is a collection of Asian and western weapons (needless to say I felt like a kid in a candy store), bows and arrows of different kinds etc. The club has a second floor that was still under renovation and soon to become the VIP area with offices in the same level as well as some landscaping work around the facility. The building has a cafeteria, a sitting area, a martial arts training hall, a small shooting area for VIPs and in the back a larger open area for general archery practice. After a short introduction we started our interview to cover as much as we could in the short time we had available (my wife had set up a meeting with her cousins afterwards to eat and hang out). Professor Lianzhen started training with his father’s senior students when he was 5 years old, the basic training lasted 2 to 3 years, at the time he did not like martial arts as he felt pushed to do so and even today sometimes he struggles with that feeling. In his view martial arts are difficult, in many cases they are useless for combat and at a young age it was difficult to understand and enjoy the cultural component embedded in them. After Professor Ma turned ten he began to train in other sports such as western boxing for about 5 years, followed by 2 to 3 years of Chinese wrestling. His involvement in martial arts was not a hobby but to follow up on the steps of his father, uncles and grandparents tradition. His family has always trained to some degree in different styles and combined them with the core material passed down through generations (the Ma Tongbei curriculum includes skills in Bajiquan, Piguazhang, Chuojiao, Fanzi Quan and weapons). At the age of 16 years old professor Ma started to retrain in his family’s martial arts and rediscovering his taste for these skills in part due to the influence from films and popular culture. The latter made him wonder why his father never taught him the magical skills depicted in the media then at 17 he had the opportunity to travel to Turkey in an exchange program and after his freshman year started once again to practice Chinese martial arts making many friends from the former Soviet Union who exposed professor Ma to other martial arts like Sambo while teaching them his family’s martial arts. It was in Turkey that he began to love the practice of martial arts along with people who shared the same passion. At that time he started to realize the confusion still prevalent among lay and practitioners alike regarding what Chinese martial arts really are. In the west myths about these skills’ origins abound, as professor Ma’s describes them they are like “balloons” easily burst and once they do they lose meaning for both people in the west and China. Hence the heavy responsibility he feels to train and teach his foreign students the Ma family’s traditions. In his youth professor Ma disliked free sparring practice and preferred practising with weapons such as the staff and sword. After completing his studies in Turkey he returned to China in 2002 spending the following 2 to 3 years training with his father, at this time he realized that there was a threat to the family traditions as the influence the Ma’s once had diminished and the fact that many of their students worldwide are teaching commercially. In order to be profitable in a very competitive market people fall to the temptation to spread false stories about the art’s origins; among the older generation it was professor Ma Mingda who dedicated himself to the exhaustive study of the historical evolution of Chinese martial arts to move away from that pervasive trend an example followed by professor Lianzhen. After completing his studies in Turkey professor Lianzhen had plans to become a business man and continue teaching Chinese culture in a country he had come to love. It was at his father request that professor Lianzhen changed his original plans and returned to China to continue the family tradition, which was not an easy decision to accept. Through his father’s connexions professor Lianzhen pursued a degree in Sports Sociology studies. Through his interactions with people and martial artists from different nations he came to realize there is a sense of superiority over Chinese martial arts as the latter are seeing as nothing more than a dance form, fancy but useless in combat. These insights inspire him to research the development of the native combat systems in modern times and how they had “evolve” to what we know today, while at the same time dispelling the myths far too many hold dear. Following the steps of his father, professor Lianzhen started a movement to state the facts about the origins of the family’s tradition based on his research putting him in a collision course with the martial arts community and even his own cousins and their students. Part of this approach is to simplify the martial landscape to laid a solid foundation to build upon. As an example a century earlier there were about two dozen styles of martial arts known, leading to the current landscape of over a hundred different styles with far too many based on dubious origins. These issues are palpable given the fact that people cannot differentiate between a real/traditional and fake/made up martial art, all due to a lack of traditional standards (Note: not to be confused with the IWUF set of standards set up nowadays). In professor Ma’s view some of the elements included in any given art e.g. enjoying the aesthetic components of the practice, a philosophical part even though important they cannot replace the main goal of practice which revolves around fighting ability otherwise it becomes a mere dance/performance (Note: even if fighting is not the main objective there should at the very least have an understanding of the practical applications of the movements contained in taolu practice). A cultural element that plays against Chinese martial arts is what professor Lianzhen describes as hypocrisy, people will not acknowledge that some practices are just plain wrong in part for what he describes as self preservation. Only when directly threaten people will point out a given martial art is fake (Note: professor Lianzhen gave the example of the now famous MMA coach and former professional fighter Xu Xiadong and his fight against a poorly prepared Taijiquan master, a rare example contrary to the above). The only way this can be changed is by discarding what now exist and start from scratch, in his view the change has started by those born in the 1980s as they have been exposed to elements the older generations did not, which makes them more open minded in certain areas related to martial arts. The popularity of MMA brings another problem when trying to define Chinese martial arts, if one looks at these practices as merely skills to win in a confrontation they can only be described as Martial Skills. Similarly emphasizing the art component leaves out the former and also cannot be called a martial art in the Chinese sense; an argument Chinese like to use when discussing about their native skills is how different their martial arts are. Professor Ma disagrees, in his own words all traditional martial arts are in essence the same, it is in the details on how to reach the end goal that one can differentiate martial arts in general and Chinese martial arts in particular. The basic training in Ma Tongbei starts with small sequences of 2 to 3 moves linked together and their usage, performed in a smooth and continuous manner. This is followed by learning how to fit in the movements learnt individually to partner practice. This process does not work for everyone and for this reason it is necessary to segregate the students into different groups or categories e.g. fighting group, those who enjoy the art etc. These groups can also be subdivided into empty hand and weapons practice. Based on professor Ma’s experience, weapons practice helps to improve one’s empty hand skills. Once the student has completed the process, he/she must add their own “flavour’ in order to make these skills his/her own. The Ma system has a very stringent discipleship requirements and few reach that level. 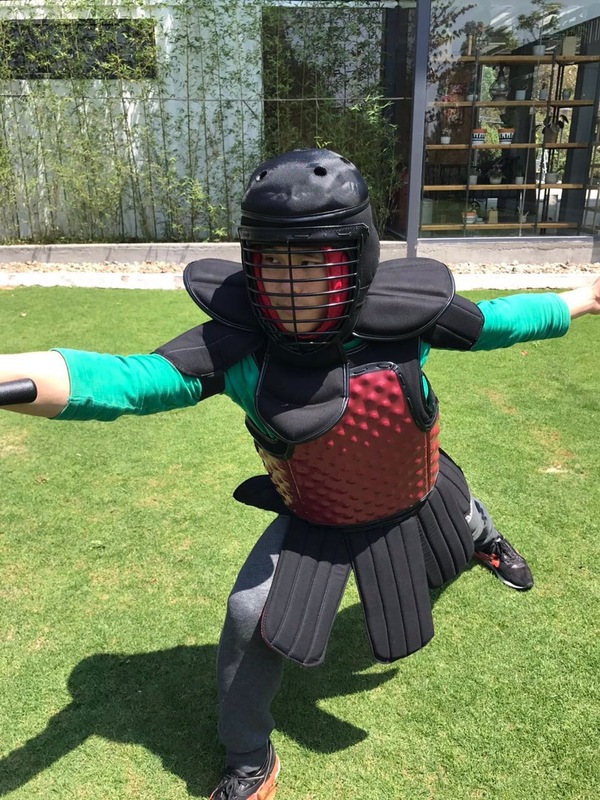 Professor Ma Lianzhen has focus his attention to short weapons sparring practice developing protective equipment, weapons, rules and organizing events to promote them. Bajiquan practice is the first style learnt in the Ma Tongbei system developing leg strength, it is followed by Piguazhang which develops the back, the styles are arranged to help develop the major muscles of the body. Fanzi and Chuojiao are also practice, however professor Ma believes that all of this is excessive and should be shorten. Despite being a good way to work the memory it requires a lot of time to keep it up. The weapons taught included Pigua Dao, Pigua Jian, short/long staff and spear. Advanced weapons forms are taught, but students must promise not to teach them to outsiders, a reason why these routines are not given to everybody. The origins of modern weapons sparring competitions goes back to 1927 and the Zhongyang Guoshu Guan (Central National Arts Academy) at Nanjing as a sponsor and professor Lianzhen’s grand father and uncle who were the main developers of that style of competition. Ma Fengtu (1888 – 1973) used to say that Chinese martial arts needed to developed in a way similar to Japanese martial arts and as a result developed the basis for Sanshou (free hands), Duanbin (short weapons) and Changbin (long weapons) competitions. The experiment that was the Guoshu Guan was cut short by the events of Sino-Japanese conflict and the Liberation, the powers that be of the latter disliked such activities causing severe damage to this practices. In the 1990s and through the continuous effort of professor Ma Mingda and his siblings Duanbin slowly started to once again gain some traction for a few years just to stop again for about 10 years. After professor Lianzhen returned from Turkey and completed his studies in the mainland, he picked it up what was left off to continue the research and experimentation work. Japanese combat sports such as Kendo are popular worldwide, therefore there is an opportunity and a challenge to developed a similar style of competition with Chinese characteristics; interest towards ancient western systems of combat lead by groups like HEMA are good examples the Chinese are keen on replicating using their own native practices. The steps for the creation of practice groups in China are slowly taken hold in recent times. Even though the political changes that took place after the Liberation have undermined native practices, with the sport bodies focusing their attention heavily of Olympic sports while martial arts taking but a minuscule part of the whole effort. The current leader of the communist party dismantled among other things the old sports structures (the oldest in the new China), which might bring the much anticipated changes to martial arts in the mainland, something professor Lianzhen is hopeful will lead to positive changes in the future. Regardless of the direction the recent political and social changes take in the case of martial arts professor Lianzhen and his followers will continue their current work. Professor Lianzhen is now head of his university’s department allowing him to build a strong group of graduate students along with building strong relationships with other universities/groups leading to the completion of major academic projects related to what he describes as a New Revolution in Traditional Chinese Culture integrating physical and traditional cultural elements in a holistic way. On July 21, 2009 the first World Guoshu Competition took place organized by among others the Ma family. The competition included sparring events with and without weapons, single and pair routines, Chinese wrestling and a special gallery exhibition. Despite receiving an invitation to attend, family matters did not allowed us to go. The event was the biggest experiment the Ma family had sponsored in recent times both in terms of capital and effort invested. Even though the capital invested was recovered, professor Lianzhen realized that the intended results on spreading traditional culture was not really accomplished and for that reason no further efforts were implemented to continue such event in the following years. The next project was the publication of the Journal of Chinese Martial Arts which lasted from 2009 to 2012, this was also a heavily involved undertaking given the huge translation work required by the editorial team. In 2015 professor Lianzhen started the Chinese version of the journal with potential plans to do something in a smaller scale in English. Now that he has opened his archery club he will use it to organize smaller competitions like the one he hosted the weekend we went back to Hong Kong. The competition included archery events as well as weapons sparring as a mean to test the rules, equipment and media interest. Professor Lianzhen explained that in order to spread such practices to the public in general these skills must become fashion to help in their popularization; professor Lianzhen is also following his father steps serving as a consultant for the Shaolin Monastery in different area of martial arts including an archery competition in August. Professor Lianzhen opens his lectures with a shocking statement, in his opinion Chinese martial arts are dead or at the very least near extinction. Needless to say we were a bit startle but not completely surprise by his statement as through our research and practice we also see it. Professor Lianzhen suggested to rebuilt/rename many of the current practices we see nowadays to fit the reality of current developments. 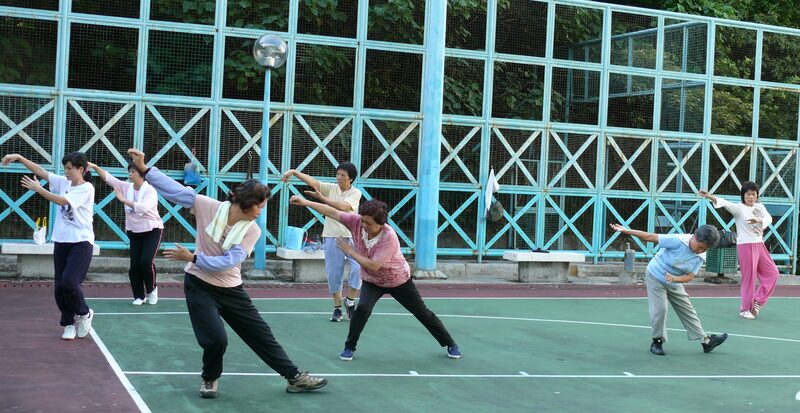 Taking Taijiquan as an example, from a practice that originally included combat skills pre 1930s to a new form of exercise totally unrelated to a martial art in the XXI century. Taijiquan is now a established form of calisthenics with martially inspired movements, but not a martial art in the traditional sense. Regarding the current terminology used to describe martial arts e.g. Wu Shu, Kung Fu and others they all have one thing in common and that is physical skills and not philosophical development (Note: an unfortunate trend that continues even in the nascent field of martial studies) as their primary goal. In professor Lianzhen’s view Guo Shu is the one that so far comes closer to solve the dilemma faced by Chinese martial arts for a few reasons. It is the first attempt to modernized the different Chinese schools of martial arts and also the first time Chinese martial culture was combined with western concepts of competition, the latter helped make Chinese martial arts to be more universal and easier to be accepted by society at large. Given than Guoshu includes several different areas of Chinese martial culture as described above, professor Lianzhen does not have the time to covered all the elements contained and as a results he is concentrating on only a couple to build a strong foundation to which more elements can be added in the future. As an end goal is the promotion of a competition that feels, looks and tastes very Chinese with modern elements in its structure. The combination of native elements with those from others is not new and throughout China’s long history examples of cultural and technological exchanges have taken place that helped in the advances that shaped societies both at home and in different nations. In the west and even in China there is the idea that Chinese martial arts must includes several elements if they are to be considered a martial art e.g. Qi Gong, Chinese medicine, religion etc. In his view these ideas are originated in the Chinese due to a lack of proper definition of what martial arts really are. There are too many terms used throughout the centuries covering some aspects yet not one that is based on a thorough historical understanding of these practices. When the Journal of Chinese Martial Arts was in existence professor Lianzhen had a section called Wuxuepedia he used to help in this understanding with plans to expand that section into a full bilingual dictionary in the future. The main difficulty lies in the fact that many of the terms will lose the original/specific meaning outside the Chinese language. At this point of our discussion professor Lianzhen had visitors and we were given the chance to try an archery lesson with one of his advanced students who took us to the main range where two young kids were practicing. It was our first time doing so and took us a while to start getting the hang of it. Before leaving I had ordered two sets of armour similar to the ones used by the PLA for bayonet practice including wooden rifles to experiment with back home. In addition I bought a traditional Chinese bow and some arrows to take with me back to Canada, it goes without saying my wife was not impressed with all the things we had to take back to meet her cousins but as the great sport she and her cousins are we all split the load. It was rather comical the looks we got when walking around the busiest mall in Guangzhou we chose to meet, with the ladies each holding a wooden rifle or bow and arrows and the guys carrying the armour. We hope in our next visit to the mainland to have a bit more time to expand on the topics discussed and to learn more about the projects professor Lianzhen and his family are undertaking.